JP Kennedy, Managing Director of TileStyle, has over 20 years experience within the retail and construction related industries within Ireland and the UK. TileStyle is a dynamic family owned business and is one of Ireland’s driving forces within the retail Tile, Flooring and Bathroom sectors. With over 30 years experience providing our customers with the finest quality products and excellent service, we continue to work hard to innovate and adapt to a constantly changing environment. Our mission is to have the very best people working for TileStyle so as to always exceed our customers expectations. JP is married to Sandy and lives in Co Wicklow. Pharmacist of the Year 2011, Eugene Renehan. Paul is the owner of Tony Kealys. Tony Kealys are the largest independent nursery chain in Ireland with 4 stores, 2 in Dublin, 1 in Cork and 1 in Belfast. Tony Kealys are a second generation family business who are renowned for good customer service. Paul is married to Alison with 4 children and they live in Dublin. David Myers is Head of Group Operations for Heatons.The group consists of 52 Heatons stores and 39 sports stores (Sports World – ROI | SportsDirect.com- N.I.) which trade in both the Republic Of Ireland and Northern Ireland. The business has been trading for 65 years and is renowned for unbeatable value and quality products. Heatons currently employ a team of 2,000 dedicated staff who are focused on delivering outstanding value and service to their customers. David lives in Stillorgan, Co. Dublin. Fergal is the Co-Owner and CCO at Arboretum a dynamic family run business founded over 40 years ago with two stores one in Leighlinbridge, Co Carlow & a new store in Kilquade, Co Wicklow. Commitment to excellence in customer service, store design and continuous innovation has earned the Arboretum the coveted title of National Company of the Year 2016 and National Store of the Year 2015 by Retail Excellence. Fergal’s strengths lie in strategic business and marketing strategy with exceptional focus on customer service. Fergal is married to Kim, has two children and lives in Co Carlow. Luke Moriarty is owner and Managing Director of The Moriarty Group, based in Palmerstown, in Dublin 20. With interests in the independent supermarket sector, hotels, and property, The Moriarty Group employs over 600 people. Luke Moriarty’s career in the retail sector began in Dublin in 1976, with Dunnes Stores. He founded The Moriarty Group in 1987, when he opened his own SuperValu in Crumlin, followed by further Moriarty’s SuperValu supermarkets in Palmerstown in 1988, Balbriggan in 1991, Finglas in 1992, and Skerries in 1996. Luke is also Postmaster at two of the supermarket locations. Luke Moriarty also operates Balbriggan’s landmark four-star Bracken Court Hotel, and the four-star Court Yard Hotel in Leixlip, County Kildare. Fionagh Ryan of Ryans Jewellers in Limerick is the President of The Association of Fine Jewellers. This prestigious position was also held by her father Stephen Ryan in 1977/78, forty years ago. Ryans Jewellers opened in 1964 so this Father and Daughter team have nearly 55 years of experience and knowledge of the Irish Jewellery business. Fionagh, with a Marketing Degree from the Dublin Institute of Technology is part of the business since 2000 and has added that contemporary touch with a complete shop-fit including embracing social media and an online selling presence but Fionagh adds “the key to our success has been our amazing staff – 2 of our 3 girls have been with us for 20 and 25 years and customers really appreciate sales people with competence, experience & follow-through in a business that deals such personal sentimentality, that kind of trust is paramount”. Fionagh is also a previous president of Limerick City Business Association and once upon a time had time to play golf and was Lady Captain of Ballykisteen Golf Club in Limerick Junction, Co. Tipperary. Darren Smyth, Head of Commercial operations at Shannon Airport has over 25 years’ experience in retail and related sectors. The Shannon Group is a commercial semi state company and includes Shannon Airport, Shannon Heritage, Shannon Commercial properties and IASC. Darren is responsible for food and beverage, concessions, Shannon’s fuel business, consumer and commercial marketing, digital and airport retail operations including the world’s first Duty Free, Shannon Duty Free. He was formerly Head of Retail at Shannon; the company’s retail arm comprises of 4 stores in Shannon airport, including Shannon Duty Free, the world’s first Duty Free and 9 stores across its Shannon Heritage tourist attraction business including well known sites such as the Cliffs of Moher, Bunratty Castle and Malahide Gardens in Dublin. Darren lives in Cork with his wife Jennifer and Daughter Lilia. Willow is a womenswear retailer based in the West of Ireland. Jean holds a BEng in Engineering from the University of Limerick but retail became her calling. Willow has 2 stores based in Ennis & in Galway and an online store Willow.ie. Providing their customers with a welcoming, relaxed environment has become synomis with the Willow customer experience and has earned them numerous award titles. Former President of the Ennis Chamber of Commerce and a passionate SME retailer, Jean lives in Clare and is married to Donal. Michelle O Gorman is Group Area and Head of Retail at the Kilkenny Group, which has been at the forefront of promoting the finest Irish craft and design for over 50 years. Having joined the family-run business in 2005 as Deputy Store Manager at the company’s Killarney outlet, Michelle worked her way up to the position of Group Area Manager in 2007 and today manages the Group’s 15 stores nationwide. Michelle is responsible for ensuring all her stores meet company targets as well as team development, customer service, strategy implementation and recruitment throughout the regional stores. Michelle lives for the buzz of retail and takes a very hands-on approach in her role, working closely with teams across all company departments, including marketing and buying, to deliver exceptional results across the board. Kilkenny Group is home to Ireland’s largest collection of Irish designers. From fashion, knitwear and accessories, to handmade jewellery, dazzling crystal, art, hand-thrown pottery and a wide range of gifts, you can be sure to find some wonderfully designed products at Kilkenny! . Joe Barrett joined the Group in its second year of operation with a strong background in retail and fast moving consumer goods having worked for Tesco and John West Foods. Mr. Barrett has over 20 years’ experience in the retail industry and has a key responsibility for management and developing the Group’s retail and food offerings. Mr. Barrett was instrumental in developing the Group’s partnerships with its international food brand partners. He has a B.Comm and MBA from UCD. Mr. Barrett was appointed to the Board on 19 November 2010. Michelle is the Retail Director of Butlers Irish Chocolates. Founded in 1932, Butlers is Ireland’s premier family-owned firm dedicated to craft of exceptional chocolate-making. The company now employs 400 staff throughout its factory in Dublin and the Butlers Chocolate Café network in Ireland. Butlers Chocolates are available in over 40 countries and 60 airports around the world. Becci is a business and marketing graduate with extensive retail experience and is Managing Director of Fisher’s of Newmountkennedy, Co. Wicklow. Over the past 30 years Fishers has grown from a small country clothes store to a large destination shop. 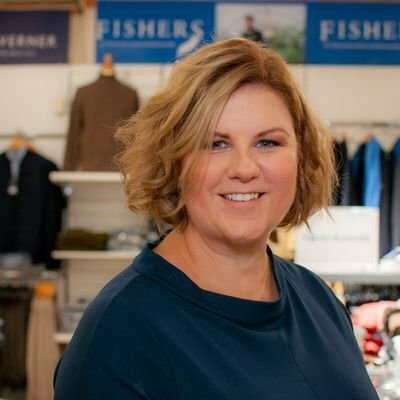 Fisher’s brings their customers modern, fashionable clothes, while maintaining their core values of excellent, personal customer service and a superb range of products. David Fitzsimons is Group Chief Executive of Retail Excellence. David was involved with the establishment of Retail Excellence in 1995, when he worked with South Dublin Chamber of Commerce. David oversees the strategic direction and operations of this not for profits organisation. Retail Excellence is Ireland’s largest retail industry body representing the interests of 1,850 leading companies who employ 110,000 people in the Irish market. David sits on a number of global retail committees including the NRF Global Retail Council. Sharen McCabe is Chairwoman of McCabe’s Pharmacy Group. McCabe’s is synonymous with best retail practice and operates twenty three stores in Ireland, primarily in the east coast. McCabe’s is a leading provider of healthcare products and services. Sharen is married to Jeff and lives in Dublin. Kevin Jephson is Director of Ardkeen Quality Food Store in Waterford. Ardkeen Quality Food Store is now a second generation food retail business and is respected for specialising in locally sourced foods from artisan food producers. The company is family operated and employs a team of one hundred and thirty dedicated staff. Kevin is married to Sheila and lives in Waterford. Keith Rogers is Head of Retail with M.Drummy (ECCO Shoes). Ecco is a globally respected footwear brand and the companies Irish retail operations spans twelve store locations. ECCO stores are associated with best in market design and exceptional service standards. Keith is married to Ailish and lives in Dublin.